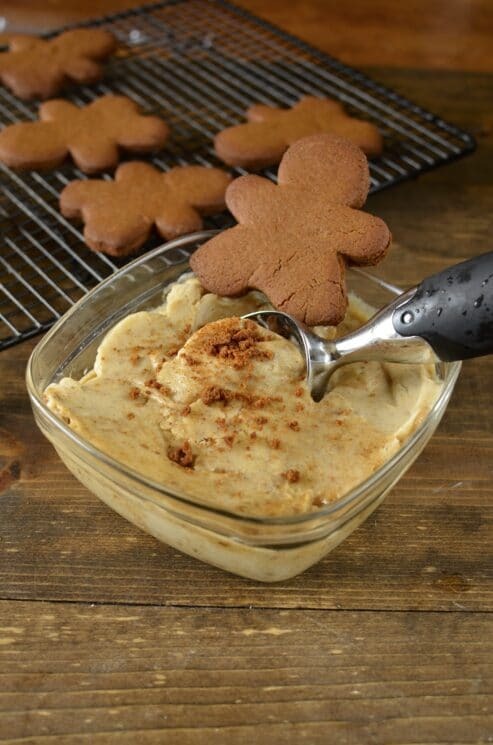 Fragrant and full of delicious spices, Gingerbread in all forms is a holiday favorite! 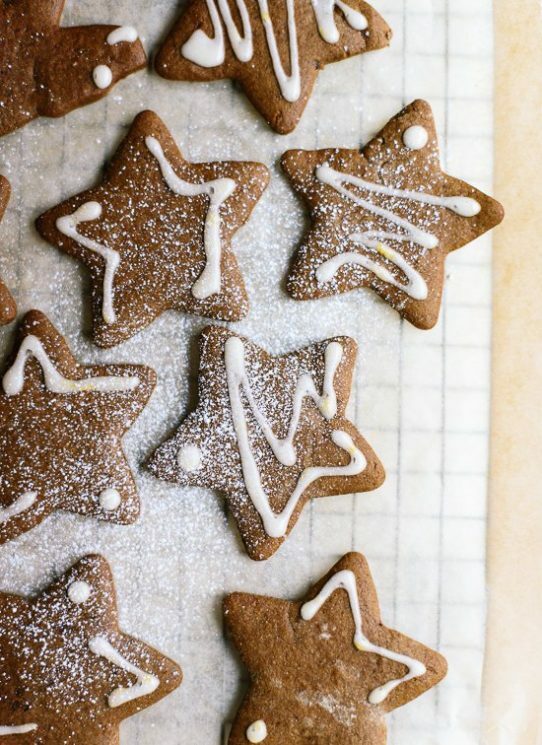 We have 12 of the best gingerbread recipes from around the web! 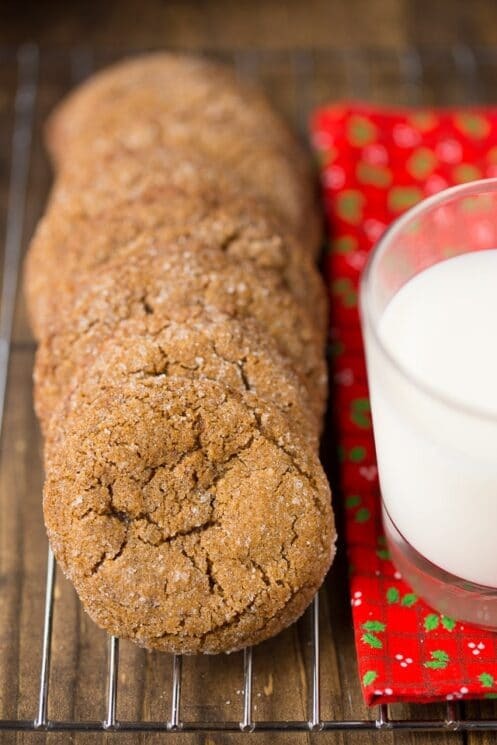 These crisp and flavorful healthier gingerbread cookies from Cookie and Kate are made with a few simple substitutions to turn classic gingerbread cookies into healthier gingerbread cookies, without sacrificing flavor. The result is a dough that is remarkably easy to make (no mixer required) and manage! 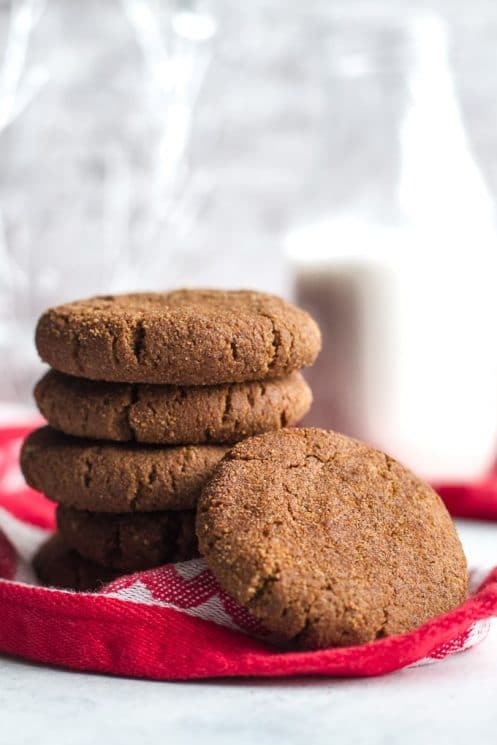 These soft and chewy gingerbread cookies from Super Healthy Kids have a melt in your mouth texture and the subtle spice of delicious ginger and molasses making these cookies a definite holiday treat. 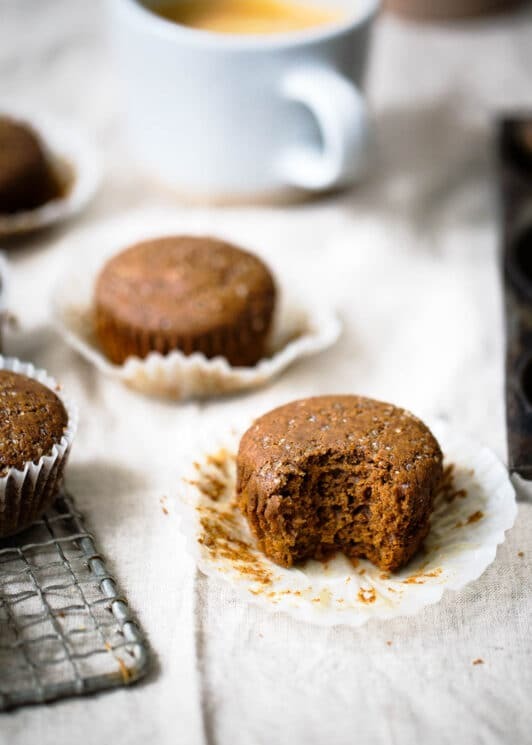 The gingerbread muffins from Ambitious Kitchen are wonderful for anyone who LOVES all things gingerbread or even molasses ginger cookies. The muffins themselves are incredibly soft and fluffy, similar to cake. 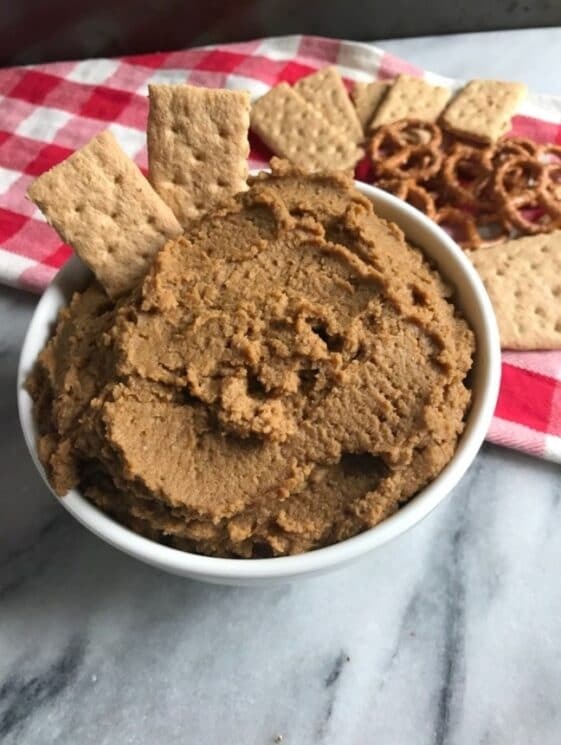 This gingerbread cookie dough dip from Erin Lives Whole makes you want to grab a fork, spoon, pretzel, graham cracker, your finger, whatever you need to get this deliciousness to your mouth as fast as possible. No other explanation needed. This gingerbread ice cream from Super Healthy Kids is super creamy, super delicious, and a no-sugar added dessert! These big, soft, and chewy grain-free gingerbread cookies from Running with Spoons have the irresistibly comforting flavors of ginger and molasses. They’re 100% grain-free thanks to the almond flour and coconut flour, and super easy to make with only one bowl and a handful of healthy ingredients. 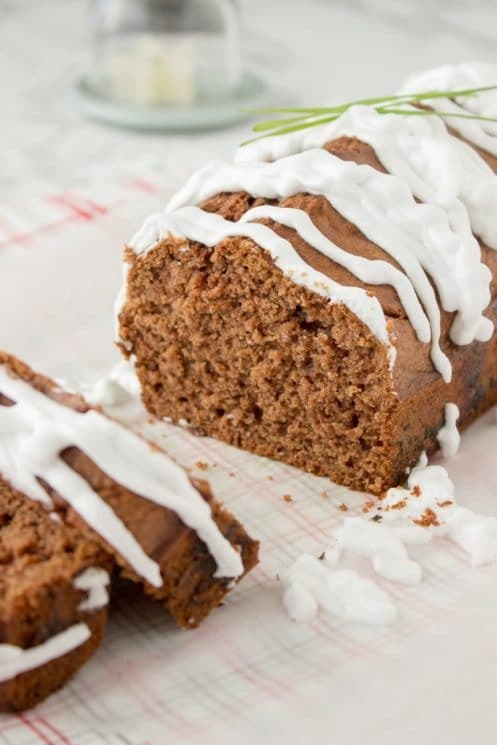 This Gingerbread Loaf Cake from Natalie’s Health is made with whole grain goodness and is full of fragrant winter spices including FRESH ginger. Sweetened with molasses and unrefined brown sugar, this cake has a delicious sweet caramel flavor perfect for a cold Winter night. 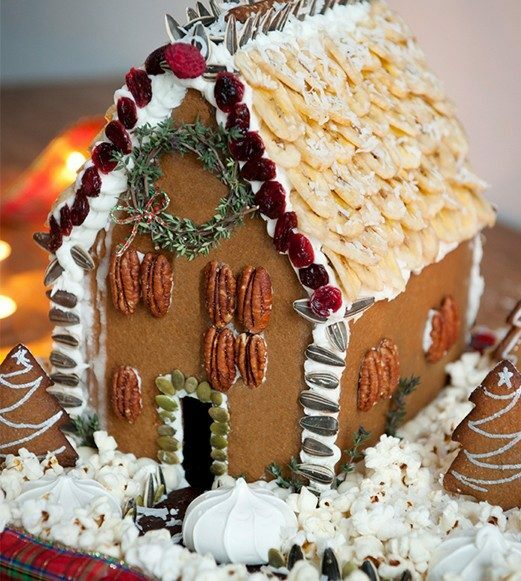 Building a gingerbread house is a classic holiday activity that’s majorly joy and nostalgia-boosting. Try this healthy version from The Chalk Boarding Mag this year and feel good if your kids decide to eat it all up! These Healthy Gingerbread Pancakes from Kristine’s Kitchen are so good that you’ll want to make them all year long! 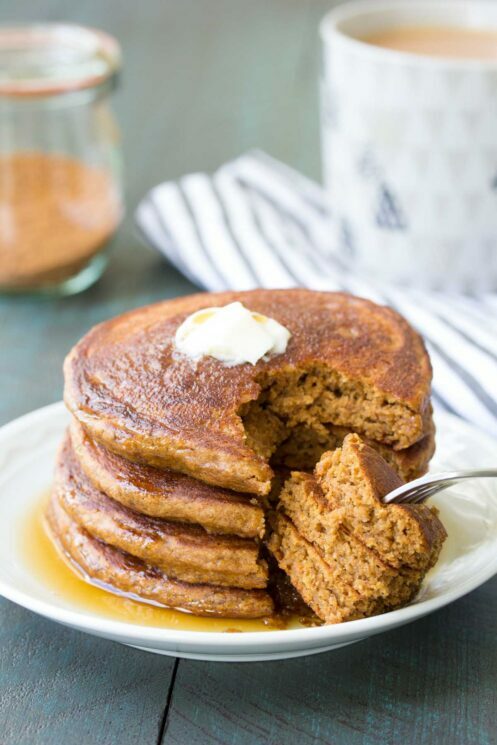 Made with white whole wheat flour, gingerbread spices and molasses, these fluffy gingerbread pancakes are a kid favorite! 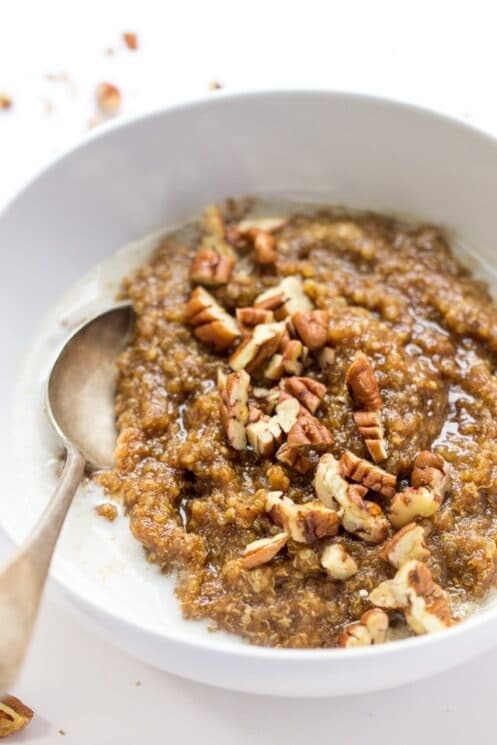 90-second gingerbread breakfast quinoa from Super Healthy Kids is warm and satisfying, filled with the deliciously spiced flavors of classic gingerbread. 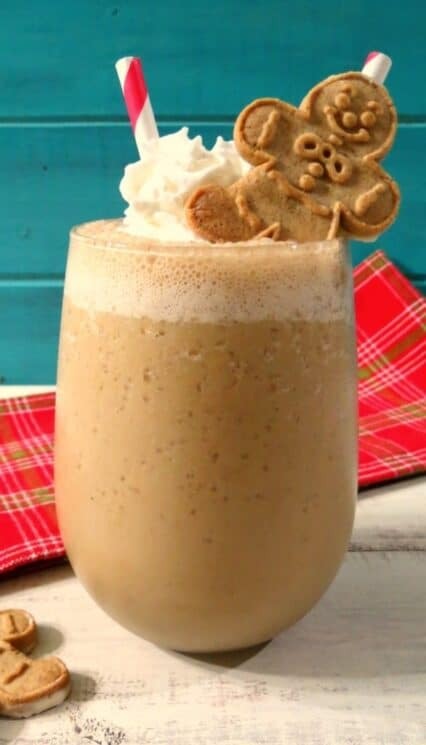 This gingerbread smoothie from Peanut Butter and Peppers is frothy, creamy and a quick and deliciously spicy pick-me up for a Winter morning. 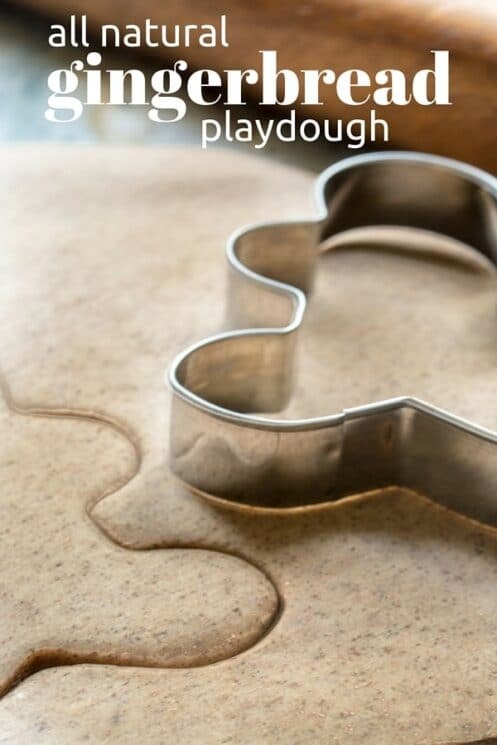 This gingerbread playdough from Super Healthy Kids is a feast for the senses — from the squooshy feel to the intoxicating holiday aroma. 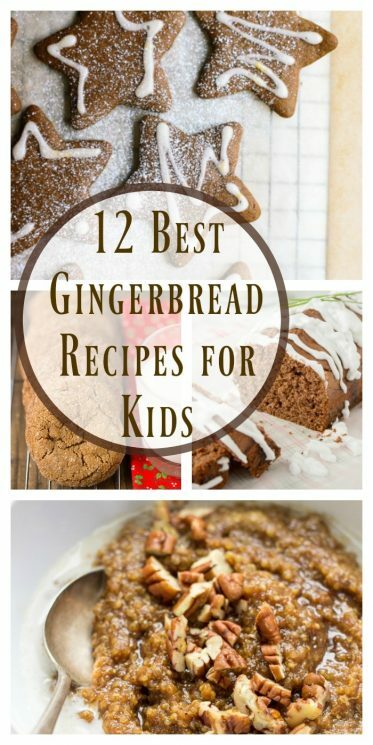 It looks and smells just like real gingerbread dough, but no worries, if your child is tempted to take a taste, this all natural formula won’t hurt them a bit. This is one great collection Natalie. My kiddo loves ginger-flavored treats. I can’t wait to try some recipes from this list.